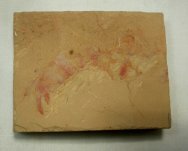 This fossil comes from what has been termed the “Guanshan Fauna”, found in the Wulongqing Formation. The Guanshan Fauna shares many genera with the slightly older Chengjiang Biota, but differs at the species level. 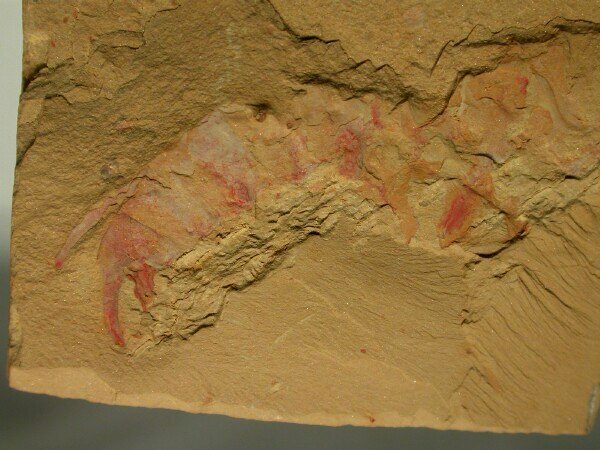 The discovery of the Chengjiang Biota by Hou Xian-guang in 1984 opened a window onto a remarkable array of lifeforms from what is termed the Cambrian Explosion. 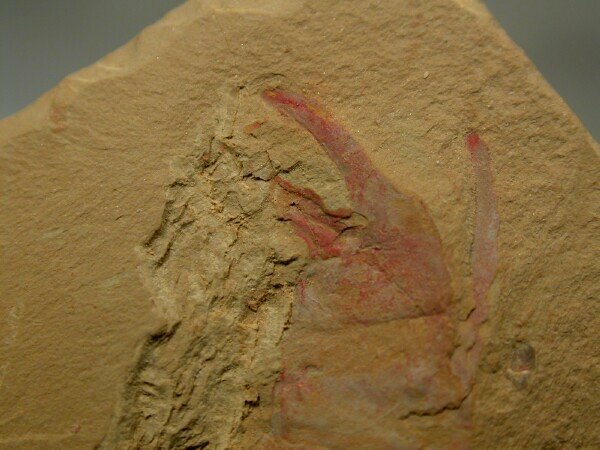 This is the grasping arm of one of the of the “Terrors Of The Cambrian”, Amplectobelua symbranchaiata. The members of this group of enigmatic creatures are known from Asia, Australia, Europe, and North America, and are thought by many to be closely allied with the Arthropoda, though this view is not held by all researchers. As of the publication of Hou’s book in 2004, some 30 examples were known, with most fossil specimens being grasping arms like seen here. Such spiniferous grasping appendages strongly suggest carnivorous habits for this enismatic animal; also, some trilobites from Utah bear evidence of bite marks that have been attributed to its near relative Anomalocaris. 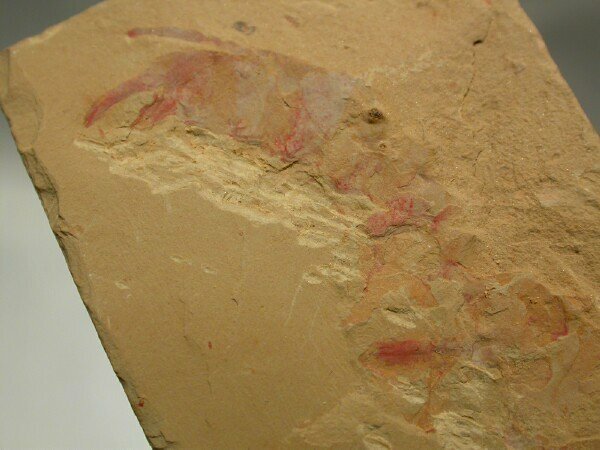 The primary difference between the two genera is that the spines of Anomalocaris are branched, while those on Amplectobelua are unbranched, just as seen here.